One of the legacies of the baby Boomer generation is the unwillingness to put up with irrelevance. Boomers are also infamous for demanding excellence in everything they encounter. Entities that fail to live up to the standards set by this generation are quickly dismissed. The post-Boomer crowd has mutated that perspective. Excellence is less meaningful to them because it sometimes reflects the slickness of exploitation and manipulation. The pet peeve of the younger generations is irrelevance – similar to the Baby Boomers. The younger generations quickly abandon anything that is not wholly germane to their personal passions. They have significantly altered expectations and lifestyles through their demand that things foster shared experience and be ‘real,’ adventuresome, and memorable. They have little patience for anything based on tradition, customs, ease, or social acceptability. If they do not immediately sense the relevance of something, they dismiss it out of hand and move on to the next alternative. Remember, in a culture where the individual is king and there are no absolute moral truths, exercising choice without limitations is a cherished right. Few of our daily experiences have remained outside the influence of the technologies introduced in the past 20 years. Communications, medicine, information dissemination and storage, education, farming, athletics, music and art – you name it and the chances are high that it has been seriously affected by technology in recent years. And that includes the faith dimension, too. Among the most overt effects on church life have been applications such as the widespread embrace of large-screen projection systems for worship and teaching events; the use of video technology for multisite ministry; satellite delivery of ministry training; the ubiquity of religious conversation in the media (including the Internet); congregations’ reliance on Web sites for disseminating ministry information; the use of computers, the Internet, and e-mail for gathering facts that are woven into religious teaching; the enhanced visual design evident in church publications and presentations; and the superior musical experiences provided through the use of downloadable files and performances using “smart” instruments. The implications of this advanced technology in relation to ministry include the reshaping of the marketplace, the reorientation of community into new forms and relationships, the expectation of finding ministry resources that respond directly to both the felt and real needs, a heightened awareness of global faith conditions and opportunities, and the desire to be a part of a worldwide Church with localized applications. The Church in general needs to be aware of these and the other changes we will speak about in the next few blogs. But, more than aware of these changes, the Church must respond to them and alter the way we live as believers; the way we interact with the community and the world; and the ways in which we express the message of the Gospel of the Kingdom. Failure to recognize these changes and new trends will mean the demise of local churches and the decrease influence of the Church in general worldwide. We will be viewed as a dinosaur that is no longer relevant nor useful in our post-modern society and technological world. As we continue to look at the Church that Jesus is building and the current call to be ‘revolutionaries’ we need to understand that change is happening. There are major changes in our world, the society (cultural group) we live in, and in the Church in general. We are in the midst of a series of spiritual transitions. Change is a natural, positive, and irreplaceable part of growth as well as necessary to enable us to continue to exist. Leaders often remind us that what got us where we are is not the same stuff that will get us where we want to go, so we must change. Psychologists remind us that repeating the same behaviours merely generates the same outcomes, and therefore precludes rather than produces positive change. In other words, to grow we must purposefully alter our routines and approaches. And the Bible is equally clear in telling us that God did not send Jesus to die so we might be comfortable and complacent, but so we might die to self, pick up our cross, and follow the way of the Master. This involves constant change. The two generations that contain people in their forties, fifties, sixties, and seventies – the Baby Boomers and the Builders – are slowly and painstakingly losing their grip on power in society. It is the two younger generations (and soon the even younger ones) – the Baby Busters and the Mosaics – who inject energy into the economy, social institutions, and even the Church because they understand and embrace constant change and innovation. Over the coming decades, increasing numbers of these younger adults will ascend to positions of power and influence. In fact, we are already seeing this change moving forward rapidly. As a result of the passing of the torch, Busters and Mosaics are altering the ways in which people relate to each other, the types of outcomes deemed desirable, the procedures used to achieve meaningful results, the values and beliefs that underlie critical decisions, and the role of technology in our lives. These same transitions are radically affecting how people perceive and practice the Christian faith. Most developed countries are now what is called a ‘postmodern’ society. Postmodernism claims that are no moral absolutes – that is, truth is whatever you believe it to be. That kind of thinking suggests that good citizenship requires tolerance of all points of view and behavioural preferences. The postmodern philosophy also proclaims that the most important element in life in your relationships; that the processes you engage in are more significant than the product of those procedures, which is a ‘means justify the ends’ perspective; and that the most appropriate route to influence is through dialogue, not monologue or the imposition of one’s beliefs or approaches upon others. The shift into a live-and-let-live philosophy affects every dimension of our lives, including the ways in which we understand and practice Christianity. Obviously, some of the central elements of this spreading philosophy and way of life – such as its rejection of absolute moral truth – are at odds with being a disciple of Jesus Christ. Other core principles, such as the emphasis on relationships, are consistent with the teaching os the Lord. The threat to the Church lies in the fact that surprisingly few believers are sufficiently reflective about the implications of this shift to critically assess its pros and cons – to know when it is important to take a stand against the encroachment of unbiblical principles. Regretfully, as well, a large number of Christians are not even aware that there is a change in the way people are viewing life. They are not aware that they are now living in and relating to a ‘postmodern’ society. Thus, they are still using old thinking and old ways to reach people and are not yet recognizing that they are failing miserable in the attempt. As we continue our look at the Church relating it to what people are looking for in a local church fellowship we are discovering that the Lord is moving in the hearts of people of all ages causing a serious inner discontent and thus a disconnect from the church as it is today. Those who are responding to this spiritual discomfort are often referred to as revolutionaries. This is not to bash the Church. Christian churches have an incredible 2,000 year legacy of pursuing God and faithfully doing His work. An extraordinary repository of life-changing results emanates from the Church. The Church is not a perfect group of people or a perfect institution; it is populated by sinners – like you and me – whom God dearly loves, despite our debased nature. And despite its faults and flaws, a spiritually healthy church will always have a valid and valuable role within God’s Kingdom on earth. The point is simply to recognize that there are some basic and foundational things that need to change within the local church if it is to actually be healthy and if we are to continue to speak to the people of today about Jesus and His Kingdom. Also, if we place all our hope in the local church, it is a misplaced hope. Many well-intentioned pastors promote this perspective by proclaiming, “the local church is the hope of the world.” Like most advertising slogans, this notion is emotionally appealing. The trouble is, the sentiment is not biblical. Jesus, and Jesus alone, is the hope of the world. The local church is one mechanism that can be instrumental in bringing us closer to Him and helping us to be more like Him. But, as research data shows, churches are not doing the job. If the local church is the hope of the world, then the world has no hope. Again, the point we have been making is simply to recognize that there are some basic and foundational things that need to change within the local church if we are to continue to speak to the people of today about Jesus and His Kingdom and if the Church is to, once again, function biblically. Some very big changes. There is nothing inherently wrong with being involved in a local church. But realize that being a part of a group that calls itself a ‘church’ does not make you saved, holy, righteous, or godly any more than being in a baseball stadium makes you a professional baseball player. Participating in church-based activities does not necessarily draw you closer to God or prepare you for a life that satisfies Him or enhances your existence. Being a member of a congregation does not make you spiritually righteous. Being in a right relationship with God and His people is what matters. Scripture teaches us that devoting your life to loving God with all your heart, mind, strength, and soul is what honours Him. Being part of a local church may facilitate that. Or it might not. Sadly, many people will label this view “blasphemy.’ However, you should realize that the Bible neither describes nor promotes the local church as we know it today. Many centuries ago religious leaders created the prevalent form of ‘church’ that is so widespread in our society to help people be better followers of Christ. But the local church we have come to know and cherish – the services, offices (sacraments), programs, buildings, ceremonies – is neither biblical nor unbiblical. It is aBiblical – that is, such an organization is not addressed in the Bible. If you read through the New Testament you will find no allusions to or descriptions of a specific type of religious organization or spiritual form for the church. The Bible does not rigidly define the corporate practices, rituals, or structures that must be embraced in order to have a proper church. It does, however, offer direction regarding the importance and integration of fundamental spiritual disciplines into one’s life. Sometimes we forget that the current form of religious practice and community were developed hundreds of years ago, long after the Bible was written, in an attempt to help believers live more fulfilling Christian lives. We should keep in mind that what we call ‘church’ is just one interpretation of how to develop and live a faith-centred life. We made it up. It may be healthy or helpful, but it is not sacrosanct. 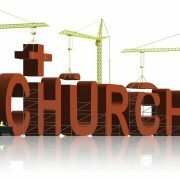 The current move of the Spirit, the revolution, is not about eliminating, dismissing, or disparaging the local church. It is about building relationships, commitments, processes, and tools that enable us to be the God-lovers we were intended to be from the beginning of creation. Revolutionaries realize – sometimes very reluctantly – that the core issue isn’t whether or not one is involved in a local church, but whether or not one is connected to the body of believers in the pursuit of godliness and worship. Consequently, the revolution involves the remnant of believers who are obsessed with practicing the same seven passions that defined the early church, in order to be agents of transformation in this world. The revolutionary mind-set is simple: Do whatever it takes to get closer to God and to help others to do the same. Obliterate any obstacle that prevents you from honouring God with every breath you take. Be such an outstanding example of the Christian faith that no one will question your heart or lifestyle – except those who see institutional survival as equally or more important than the alleged influence of the institution they defend. Or, put more bluntly, the revolution is about recognizing that we are not called to go to church. We are called to be the Church. Surveys indicate that in a typical week, only one of every four believers will allocate some time to serving other people. Most of that time is dedicated to volunteering in church programs that serve the believers who attend a local church – and not touching the lives of those who do not know Jesus as their Lord and Saviour. Seriously little effort is invested in serving needy people in their community. Most churched Christians admit to having seen homeless or hurting people in their community or travels during the past year; a very small percentage says they interacted with any of those disadvantaged individuals. The typical believer would rather give money to an organization to allow it to do good deeds in society than personally assist in alleviating the needs of disadvantaged people. Fewer than one out of every six churched believers has a relationship with another believer through which spiritual accountability is provided. The most significant influence on the choices of churched believers is neither the teachings from the pulpit nor advice gleaned from fellow believers; it is messages absorbed from the media, the law, and family members. A large majority of churched believers rely upon their church, rather than their family, to train their children to become spiritually mature. In an average month, fewer than one out of every ten churched families worships together outside of a church service; just as few pray together, other than at mealtimes; and the same minimal numbers study the Bible together at home or work together to address the needs of disadvantaged people in their community. The likelihood of a married couple who are born again churchgoers getting divorced is the same as couples who are not disciples of Jesus. Apart from church-based programs, the typical Christian family spends less than three hours per month in endeavours designed to jointly develop or apply their faith. Most Christian parents do not believe they are doing a good job at facilitating the spiritual development of their children. It is time for the existing local churches to take a look at their corporate lives and make some serious changes and adjustments to what they are doing. It is simply no longer working. We are looking at the Church as it is today and seeing how it relates to the seven passions of those who are looking for much more than they see and experience in the local church today – the revolutionaries. Last time we looked at the first two. Let’s move forward from there and look at several more. Only 9 percent of all born again adults have a biblical worldview – meaning that less than one out of every ten Christians eighteen or older believes that absolute moral truth exists, believes that such truth is contained in the Bible, and possesses a handful of core beliefs that reflect such truth. Those beliefs include a certainty that the Bible is accurate in its teachings; Jesus lived a sinless life on this earth; Satan is real, not symbolic; all believers are responsible for sharing their faith in Christ with others; the only means to salvation is through God’s grace as revealed through the life, death, and resurrection of Jesus; and God is the all-knowing and all-powerful creator of the universe who still rules it today. The other 91% of born again adults possess a patchwork of theological views and rarely rely upon those perspectives to inform their daily decisions. Although the typical believer contends that the Bible is accurate in what it teaches, he or she spends less time reading the Bible in a year than watching television, listening to music, reading other books and publications, or conversing about personal hobbies and leisure interests. When asked what constitutes success in life, few believers define success in spiritual terms. Most describe outcomes related to professional achievements, family solidarity, physical accomplishments, or resource acquisitions. When given the opportunity to state how they want to be known by others, fewer than one out of ten believers mentioned descriptions that reflect their relationship with God. It is obvious that born again believers today are falling short of the biblical model when it comes to intentional spiritual growth. And, that the revolutionaries, in many cases, are not finding what they are looking for in the church as we currently see it working today. Churched Christians give away an average of about 3 percent of their income in a typical year – and feel pleased with their “sacrificial” generosity. Fewer than one out of every ten churched Christians donate at least 10 percent of their income to churches and other nonprofit organizations. More than one-third claim to do so and thus are either self-deceived or lying. When asked to explain their understanding of biblical stewardship, less than one out of every twenty includes resources such as time, relationships, ideas, or skills in their assessment. And, most believers are unable to identify anything specific they have ever donated money to that they would describe as producing life-changing outcomes. If the Church is God’s answer to our spiritual needs, then why are most churched Christians so spiritually immature and desperate? If the local church were the answer to our deep spiritual need, we would see two things: First, people who were most heavily involved in a Christian church congregation would be more spiritually developed than others. Second, churched Christians would increasingly reflect the principles and characteristics Scripture tells us are the marks of Jesus’ true disciples. However, research consistently shows the disconnect between who we are as believers and how Christians live out their beliefs and what the Bible calls us to be and then do. So, the Church is failing to fulfill the mandate the Lord gave to it. After all, if the local church is comprised of people who have been transformed by the grace of God through their redemption in Christ and the presence of the Holy Spirit, then their lives should be noticeably and compellingly different from the norm lived by non-believers today. Let’s see if the same kind of transformation is evident in the lives of contemporary Christians in general (as seen by many recent surveys)…. Regular attendance at corporate worship services is now seen as two times a month. And, by their own admission, most believers will tell you that this is the only time that they worship God. Only one our of every four churched believers says that when they worship God, they expect Him to be the primary beneficiary of their worship. Most people say they expect to get the most from the experience. Again, apparently the Church today is not living up to the Scriptural mandate given to us by the Head of the Church, Jesus. These seven elements of “life” are based on the early Church as seen in the Book of Acts. These are part of the fruit that Jesus is looking for in His people. Jesus wants to see evidence that a person’s life has truly changed and been transformed by the Gospel of the Kingdom. He is looking for more than, much more than, simple mental assent and agreement to the message of the Gospel. He is looking for a transformed life that is producing fruit. These seven elements are some of the fruit He is wanting to see. Jesus made it very clear that the proof of people’s faith is not in the information they know or the religious gatherings they attend, but in the way they integrate what they know and believe into their everyday practices and every day life. Revolutionaries – true disciples of Jesus – are Christ-followers who refuse to make excuses for their failings; instead they address and overcome those inadequacies. Jesus did not die on the cross to fill church auditoriums, to enable magnificent church campuses to be funded, or to motivate people to implement innovative programs. He died because He loves you and me. He wants an everlasting relationship with us, and He expects that connection to be so all-consuming that we become wholly transformed. Does something get in the way of your living like Jesus? Then figure out how to eliminate that obstruction. Does life get so complicated that it is difficult for you to juggle everything and remain Christlike? Then simplify your life. Arte you unable to find words to describe how you believe God has called you to know, love, and serve Him? Then develop new ways to communicate to others how God is ministering to you and through you to others. Is society dragging you in the opposite direction from where Jesus calls you? Then acknowledge that your life is part of s spiritual war between God and Satan, declare your side, and get on with it. Admit that you are better off “fighting the good fight” and suffering on earth for the cause of Christ than winning the world but losing your soul for eternity. Get used to the fact that your life is lived in the context of warfare. Every breath you take is an act of war. To survive and thrive in the midst of the spiritual battle in which you live, seek a faith context and experience (a local church) that will enhance your capacity to be Christlike. This mission demands single-minded commitment and a disregard for the criticisms of those who lack the same dedication to the cause of Christ. You answer to only one Leader and His Name is Jesus. Do whatever you have to do to prove that you fear God, you love Him, and you serve Him – yes, that you live only for Him. This is the commitment of those who are true disciples of the Lord and live as revolutionaries in the world today.